On average, we invest over 40 hours into the planning, preparation and production of your special day! Sure, we have base prices, but we know that some couples want certain things to celebrate their new unity. So, we find a way to incorporate them into our packages. We first schedule a Free of Charge Consultation and before any contracts are signed, ensure that you are comfortable with choosing TM Sound and that we can meet all of your needs to make your special day memorable. We take pride in providing the best planning and entertainment experience you can find as your are the boss and we want to do our job perfectly. Let us have the chance to help make your future start right! Plan your special day with NO Hassle! "You helped make our HalloWedding amazing! Very sincere and interactive! First priority are their customer's satisfaction! Would recommend TM Sound to everyone!" "TM Sound provided the music for our wedding reception and I couldn't be happier with our choice! Tim was professional and accommodating to all of our requests. He was very thorough in explaining how to personalize our music to fit our wedding. He played the songs that we chose and also did a great job of adding variety the playlist to keep people dancing! 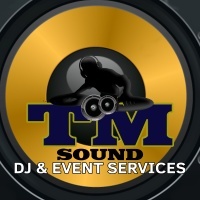 I would definitely recommend TM Sound!" "TM Sound went above and beyond for my wedding. I am so ecstatic to have had him DJ for us. I was a very picky bride with a long list of needs and wants and chores for him to do and he happily helped out with it all. Personable, friendly and gets the party going. :)"
"Tim went above and beyond to cater to our needs even outside of being our dj. He made sure my husband and I always had a smile on our face while keeping everyone on the dance floor. He made sure every request by our guests and ourselves were played, but that the priority was always on our choices first. This was at our request and he followed through. Would recommend him to everyone!!" "Tim was very helpful throughout my whole wedding process. 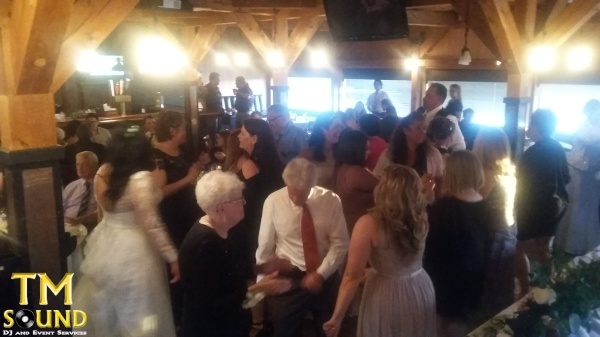 He did a great job at our reception, which was hard since we had a crowd that didn't care to dance to much."